Megumin Anthology: Kinokonoki – Advice for this young body type! The old volumes should continue to go up periodically over the next two weeks, but for now, enjoy the next chapter of the Megumin Anthology. 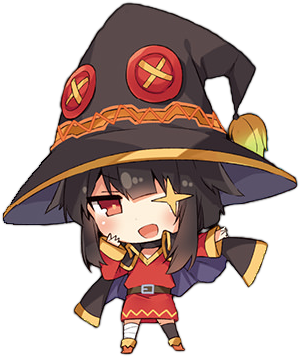 Megumin Anthology: Piro – It’s called explosion! Chapter six of Volume 12 will be going up this Friday at the usual time. Megumin Anthology: Araragi Ayune – Improvement for this movement environment! So Kasen and Lord VTP have been working on translating the Megumin Anthology comic, which is a collection of Megumin centric short stories drawn by various different artists. They’ve kindly given me permission to host their releases on this site, so over the next few weeks, I’ll be posting the chapters up here. Look forward to them. Once again, thanks to Kasen and Lord VTP for putting in the hard work.